Do you believe that it is possible for you or your advisor to out-perform the overall market through clever stock selection? Do you believe it is possible to time the market? In other words, getting in when it goes up and getting out when it goes down. Or, do you think it is not possible to time the market and it’s futile to even try? What I discovered over the years is that it can be almost impossible for anyone to beat the market for any prolonged length of time. I began every year by researching the best performing money managers of the previous 1, 3, 5, and 10 year periods. I confirmed that each manager kept true to their professed investment style and that the manager or team that had produced the results was still in charge. I compared expenses, turnover, tax efficiency, beta, alpha, standard deviation, risk levels and style drift. Then I compared my results with other planners in my study group. Finally, I produced my list of approved managers that I would use for the year. Each month and quarter I compared each manager’s results with their relevant benchmark and to their peer group. Gradually, I came to the conclusion that active money management does not work well enough, long enough, or consistently enough to justify paying for it, except in very few instances. Over the years, from time to time, some of my clients have requested that we attempt to time the market. In my opinion, in order to time the market successfully, I find an investor must make two correct timing calls. First, you must sell near the top of the market and second, you must buy back in at or near the bottom of the market. This is completely counter intuitive for most people. I have seen most people get caught up in the excitement of bull markets and want to buy more, and market bottoms tend to make most people afraid of investing, fearing that things could get much worse. The real problem with timing the market is that often the market moves higher in short bursts of activity and growth. Many studies have shown that if you miss just a handful of these high growth days in the market, your returns can really suffer. We don’t believe market timing is a good strategy. The one lesson I came away with from this period is that the time to buy is when things are bad. John Templeton, the founder of the Templeton Funds used to say “Buy when there is blood in the streets.” To this day, when the market swoons, I see opportunity. The other ability that timing the market requires is the ability to predict the future. Some of the smartest, best educated people on the planet are employed in the financial community attempting to predict the future; the future of interest rates, the economy, the election, the crisis in Europe, the inflation rate, the actions of the fed, and the weather. It is my opinion that almost none of them get it right. I know you have all had the experience of watching TV and hearing a famous economist predict a recovery and 5 minutes later listening to an equally well qualified economist predicting a recession. Nobody knows. Nobody can predict the future. If anyone really could, why would they share this knowledge with the public? Why not just trade on their special insight and become a “gazillionaire?” If they really felt that charitable, they could set up a foundation and become a world famous philanthropist. In my opinion, predicting the future does not work, and timing the market does not work… for us mere mortals. Of course, not everyone uses an advisor or a professional money manager. Many people prefer to manage their own money. Some investors are able to succeed at this, but the average do it yourself investor has not. From 1991 to 2010 the S&P 500 was up 9.14%. The average equity fund investor earned just 3.83% during the same period of time. The Barclays Bond Index was up 6.89% from 1991 to 2010. The average fixed income investor was up 1.01% during that time frame. This was at a time when inflation averaged 2.57%. 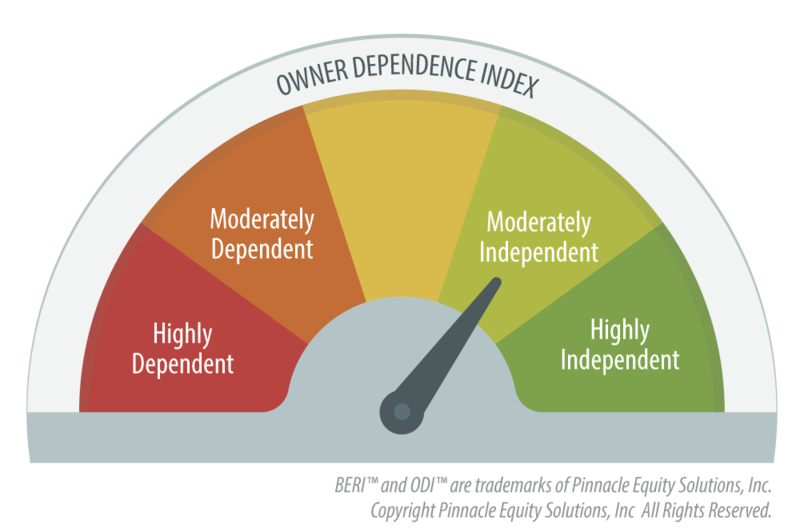 The average investor is lagging the indices by over 5% PER YEAR. (source: Average stock investor and average bond investor performances were used from a DALBAR study, Quantitative Analysis of Investor Behavior (QAIB), 03/2011). 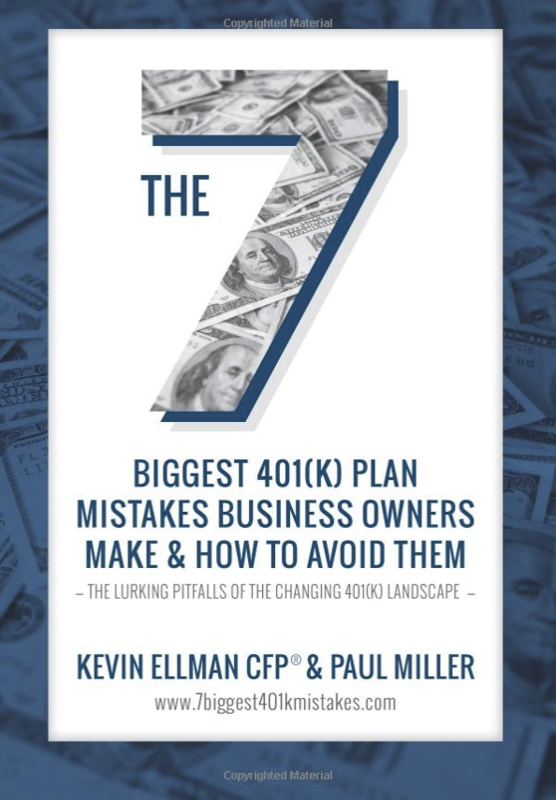 I find this is often the result of making emotional decisions and failing to follow firmly established investment disciplines that may help them pursue a program that may achieve their financial goals. Why is this the case? One of the major factors is the influence of technology and the fact that there is little informational advantage to capitalize upon. Technology has changed the way the entire asset management business operates. There was a time when information gave you a true advantage. In the days of sailing ships, an alert merchant might notice a shortage of cotton in London and dispatch his purchasing agent on the fastest ship he could hire, to sail to South Carolina, buy a ship load of cotton and bring it back to London to sell at the high prices brought about by the shortage. Sooner or later the other merchants would catch up and the shortage and the attendant opportunity for high profits would disappear. Before computers there existed an “old boy network” of school chums who would share what was really inside information. This allowed those in the group to profit handsomely. For most of history the “big, smart money” would be presented with private investing opportunities that the average investor did not even know existed. In my opinion, it is still true that institutional investors have a pricing advantage over the average retail investor, but the informational advantage is rapidly disappearing. Today, everybody knows everything 24/7/365. If anyone really has an informational advantage, in other words true inside information, it is probably illegal. How can anybody find out something truly special and unique about Microsoft, Intel, GE, GM, IBM, Apple, Exxon or Facebook? The smartest people on the planet are scrutinizing every aspect about these firms 24/7/365, and many of them are making their insights public. Information is no longer that unique. So…..what do we do? If it is difficult or impossible to beat the market, then I believe the next best plan is to capture the market. I find the average money manager can’t meet or beat their benchmark or their peer group, and the average investor seriously lags the overall market. So, my conclusion is that delivering market returns is actually quite a merit-worthy achievement. Yes, I find that the average investor could go out and buy the S&P 500 and a bond index fund and do better than most of their “do it yourself ” peers. That would not be the worst strategy in the world, but, it is possible to take advantage of Modern Portfolio Theory and Behavioral Finance to potentially do a little better. We want to own the market. We do this in our core portfolio, which is a wrap account, by investing in a fully diversified global strategy that is customized for each client’s goals, risk tolerance and time horizon. We invest in large, mid-size and small companies from large, medium and small countries. Naturally, we invest in the big household names like IBM, ExxonMobil, Pfizer, Apple and GE, but we also want to include smaller companies where there are potentionally greater growth opportunities. We invest globally because the US only represents about half of all the companies in the world. Many of the smaller countries offer potentially great opportunities because they are growing fast to try to catch up and give their citizens all the benefits of a modern society. We balance our selection between fast growing companies and more mature and typically stable companies with dividends. Of course, diversification does not guarantee a profit or protect against a loss and dividends are not guaranteed. In addition, smaller, international and faster growing companies may entail greater risk than their larger, more established counterparts. As global market conditions change, we make modest strategic changes to keep pace with the overall economic picture. This is our Core Portfolio where we try to capture the overall global market. We know that no matter what happens, we strive to position ourselves to keep pace with the market. In my opinion, keeping pace with the market, as I mentioned already, is something a great number of active money managers do not consistently achieve. In addition to owning a broad selection of index funds, we add our Satellite Portfolio. Here, we blend in commodities, real estate and certain sectors recommended by Standard and Poor’s. When we build client portfolios, we find one of the investment tools we use are Exchange Traded Funds (ETFs), for many reasons. ETFs can offer the individual investor the ability to buy a portfolio of securities like stocks, bonds, currencies or commodities in one simple package. These funds have been around for about 10 years and are one of the fastest growing investment vehicles available today. Historically, most ETFs are index funds and are priced throughout the day like a stock. When the first ETFs were created, there were only a few options available. The “Diamonds” were a fund consisting of all 30 Dow Jones Industrial Average stocks. The “Spyders” were a fund that held all 500 stocks that make up the S&P 500. Today, there are thousands of ETF’s giving the investor the opportunity to invest in just about any slice of the global financial world. For example, you can buy an ETF that owns only health care stocks, or just companies that do business in China, gold, euros, or almost anything you want. ETFs can be bought or sold any time during the trading day, unlike open-ended mutual funds and unit investment trusts that only trade once a day. This gives the investor the chance to place limit orders, sell them short, or trade based on the market moves during the day, if that fits into an investor’s trading strategy. Generally, most index funds are designed to have a low expense ratio, typically ranging between .08% and .70% where the average mutual fund expenses can range between 1.50% and 2.00%. In addition, they can also be very tax efficient. To fulfill liquidation requests, a mutual fund manager may have to sell assets that could generate a capital gain. This capital gain is then passed on to all existing shareholders who must pay taxes on these gains – even though they may not have sold any of the shares they own in their Portfolio. On the other hand, when you invest in ETFs, you will only pay taxes on capital gains that you may incur when you sell shares in your Portfolio at a profit. Please keep in mind that you still may have to pay a commission charge to your broker for purchasing or selling the ETF. ETFs lend themselves to effective tax management. Currently, if you sell an asset at a loss and buy it back within 31 days, the IRS will not allow you to write the loss off, as it violates the wash sale rule. ETF’s are sufficiently varied to allow you to harvest losses, while following this rule. ETFs are fully transparent, meaning you can go online anytime 24/7/365 and see exactly which securities you own at that moment. ETFs can be used as part of a passive investment strategy. Research from the CNN Money website supports the concept that overall investment strategy or asset allocation can contribute much more to your long term investment results than individual stock selection. For example, it may be more important to be in the energy sector when energy is growing rapidly than trying to pick the best energy stock. There are some drawbacks to investing in ETFs as they are passive strategies. So, you wouldn’t receive active professional management of your money. These are risks associated with sector investing. You could make a plan on a sector and be wrong or you might pick a sector that performs well but neglect to sell it when it becomes less favorable. 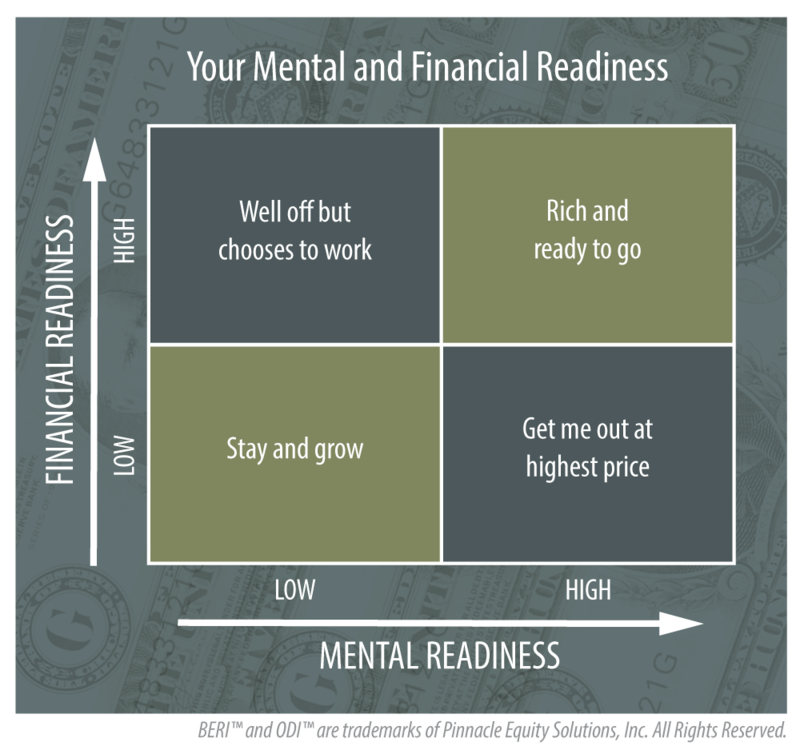 Using this approach we have been able to help our clients meet their financial goals and objectives. Please keep in mind that ETFs may not be suitable for all clients. Do you know the Serenity Prayer? I find that living by these simple guidelines helps to eliminate a lot of anxiety and to focus my efforts where they can be the most productive, to work on the areas I can control and avoid areas where I have no influence. What are some of the areas where we have little or no control? We are on a constant crusade to drive down every cost associated with investing. Benjamin Franklin was right, every dollar saved is just as good as a dollar earned from investing. We don’t want to spend one more dollar in taxes than necessary. Every year, between Thanksgiving and Christmas we meet with every client and scrutinize every account for opportunities to reduce taxes. We do this with a combination of tax-loss harvesting, charitable giving, tax deductions, tax deferrals and tax advantaged investments. 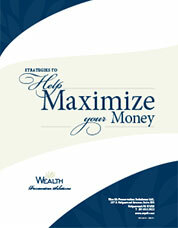 We encourage our clients to steadily and regularly add to their portfolios and contribute to their retirement plans. While we never try to put our clients on a budget, we do promote sensible spending and close monitoring of cash flow to help avoid future problems. We strive to craft intelligently designed portfolios that take full advantage of Modern Portfolio Theory and advances in Behavioral Finance. We work to match the investor’s Risk Tolerance, Time Horizon and Financial goals to their portfolio allocation. We maintain a long term outlook and try to avoid getting “spooked” by the day to day gyrations of the markets. Asset allocation does not protect against loss of principal. Periodically, we rebalance portfolios, bringing them back to their original, intended allocation. This means taking some profits by selling some of the winners and using that money to buy some other good quality funds when they are temporarily out-of-favor. I call this “selling high and buying low at the margins.” Please keep in mind that rebalancing assets can have tax consequences. If you sell assets in a taxable account you may have to pay tax on any gain resulting from the sale. Please consult your tax advisor. Where possible we attempt to reduce the risks that are somewhat within our control. The first is company risk. The extreme case of this is the corporate executive who has all of his or her financial net worth in the stock of the company he or she works for. What if there is a problem? Over the years, I have had many clients who had almost all of their eggs in one basket. This worked fantastically well for some internet companies, but I had some people with all of their money in one bank stock before the collapse in 2008. I have to ask, “Is there some overwhelmingly compelling reason to take this kind of risk?” If there is, fine. If not, then consider getting more diversified. What about market risk? By now you know I think it is very dangerous to attempt to predict the short term moves of any market. So how do you help protect yourself? By blending together several truly different types of assets. Over the years, I have had many new clients come in with what they thought was a truly diversified portfolio. One gentleman had over 40 different funds from 5 different companies using 8 different advisors. Even though he was drowning in a sea of paper each month, he figured he had so many different brains helping him invest, that he was protected. When we analyzed his portfolio for him, we discovered that of the 40 funds, 37 of them were the same types of funds. Because none of his advisors talked to each other, there was no way for them to coordinate their strategies. Each of them bought the most popular type of fund of the day, and they ended up duplicating each other’s efforts. When the market tanked, they all tanked together. The portfolios that we create and manage for our clients may include large, mid and small US companies, and large, mid and small International companies from developed and emerging countries. It could include growth companies, value companies, and sector strategies. The fixed income portion could include government bonds, municipal bonds, corporate bonds, high yield bonds, short term bonds, international government bonds, emerging market bonds and some cash. To diversify even further, we may include ETFs, REITs and annuities. That is what we call diversification and how we attempt to reduce market risk. Through the use of such a globally diversified strategy, we also help reduce currency risk, political risk and interest rate risk. What else can we control? Well, 50 years later, the financial services business is a lot more complicated than the restaurant business in 1960, but our spirit and intent are the same! Although I am the Advisor, we have a full team of people to take care of all paperwork, online access, cash management, and coordination with your tax advisor and estate planner. We provide simple reports that will show you how you are doing and we stay in touch through conference calls, weekly and monthly updates and regular face to face meetings. It all starts with our Portfolio Candid Snapshot. If you provide us with a copy of all of your statements, we will prepare a report that will give you a picture of your overall portfolio. Highlight the potential strengths and weaknesses in your investment allocations with particular emphasis on risk levels and diversification. Bring forth any issues or concerns that we think you should address. You are then free to review the report, make any changes you want on your own, take them up with your current advisor, or, if you like, consider using our firm to make the recommended changes. Think of this Candid Snapshot as a financial second opinion. The worst case is you will find out you are in good shape and no action is required. On the other hand, you may discover that certain areas of your portfolio require attention and you will now know what needs to be done. We have designed the Candid Snapshot in such a way that if you are considering a new advisor, this process should give you enough first hand, face to face experience with the way we operate and who we are. You will then be able to make an informed decision about whether we are or are not the right advisor for you and your family. The investment strategies described here will not be for everyone. If you prefer a more traditional approach, we can absolutely accommodate that as well. 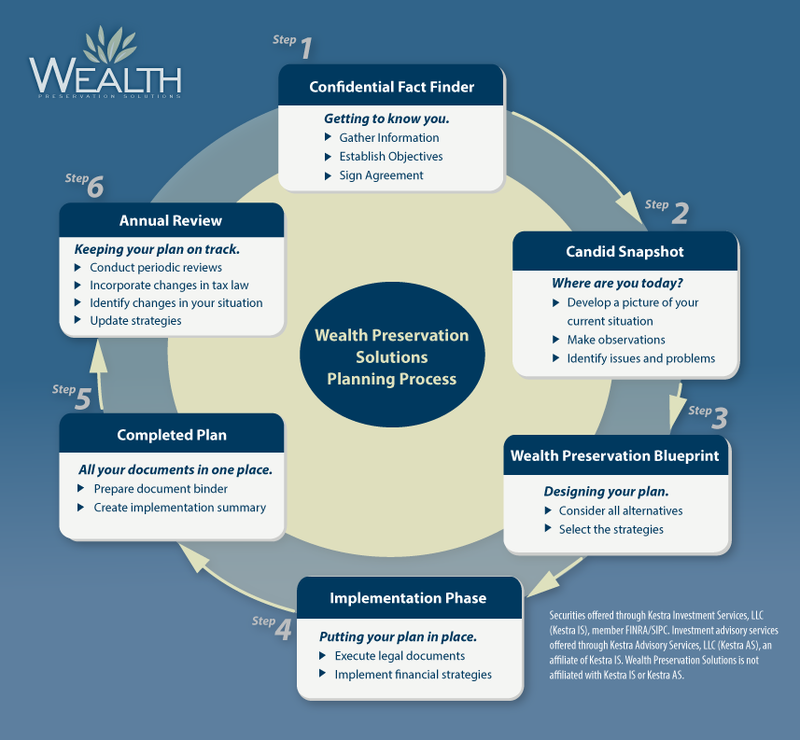 At Wealth Preservation Solutions we take the time to get to know you, and your specific current and long-term financial goals. We customize our approach and strategy based on the right fit for your situation and comfort level. It all starts with our complimentary, no obligation Portfolio Candid Snapshot. Please indicate your preferred method of contact and the best time to reach you. I'd like to receive news and events notifications. Please keep in mind that using diversification as part of your investment strategy neither assures not guarantees better performance and cannot protect against loss of principal due to changing market conditions. In addition, international investing involves special risks such as currency fluctuation, lower liquidity, political and economic uncertainties, and differences in accounting standards. Prices of mid- and small-cap stocks often fluctuate more than those of large-company stocks. Investing in Variable annuities are long-term investment vehicles designed for retirement purposes. They contain underlying investment portfolios that are subject to investment risk, including possible loss of principal. Costs to consider before investing: In addition to an advisor fee, there may be brokerage fees, and if the account holds investment company products such as mutual funds there may be management fees or fund fees. ETFs are also subject to management fees and other expenses. Investors may be charged an investment advisor fee which is compensation for investment management and financial planning work your advisor does. This fee is typically expressed as a percentage of the assets they manage, and can vary depending on the services they provide in addition to managing your investments. The cost is associated with owning individual bonds are commissions, are bids/ask spreads, and management fees. There are sales charges associated with purchase of REITS, annuities, and ETF’s. Please be advised that the fees associated with annuities are substantially higher than the fees charged for traditional investments. All investments are subject to risk Past performance is no guarantee of future results Foreign investing involves additional risks including currency fluctuations and political uncertainty. Investors should consider carefully information contained in the prospectus, including investment objectives, risks, charges and expenses. Please read the prospectus carefully before investing. ETFs do not sell individual shares directly to investors and only issue their shares in large blocks Shares are not individually redeemable. Investors buy and sell shares on a secondary market. Only market makers or “authorized participants” may trade directly with the Fund(s), typically in blocks of 50,000 shares. Like stocks, ETFs are subject to market volatility. When buying or selling an ETF, you’ll pay or receive the current market price, which may be more or less than net asset value. Ordinary brokerage commissions apply. Investment returns and principal value will fluctuate, so that investors’ shares, when sold, may be worth more or less than their original cost. Asset allocation does not protect against loss of principal due to market fluctuations. It is a method used to help manage investment risk. You should consult your own tax adviser concerning the federal, state, local or foreign tax consequences of an investment in a Fund. Investing in shares can lose you some or all of your investment. Never risk more than you can afford to lose. Small company shares can be illiquid and carry higher risk than other shares. Past performance is no guide to the future. S&P 500 Index is an unmanaged group of securities considered to be representative of the stock market in general. You cannot directly invest in the index. Barclays Capital U.S. Aggregate Bond Index: The index measures the performance of the U.S. investment grade bond market. NFP Securities, Inc. does not provide legal or tax advice. Any decisions whether to implement these ideas should be made by the client in consultation with professional financial, tax and legal counsel. *Alternative investments are often speculative, lack liquidity, lack diversification, are not subject to the same regulatory requirements as mutual funds, may involve complex tax structures and delays in distributing important tax information, and may involve substantial fees. These products often execute trades on non-U.S. exchanges.